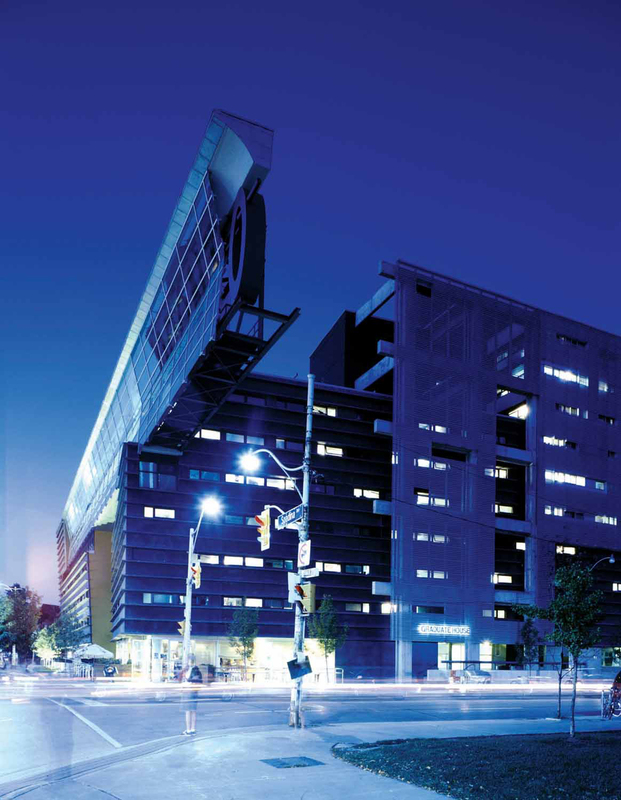 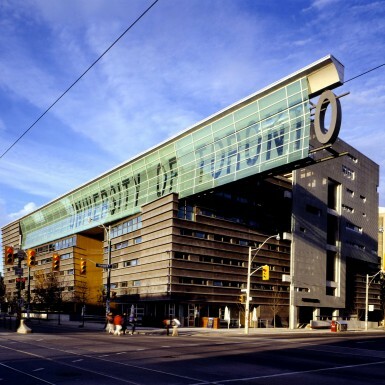 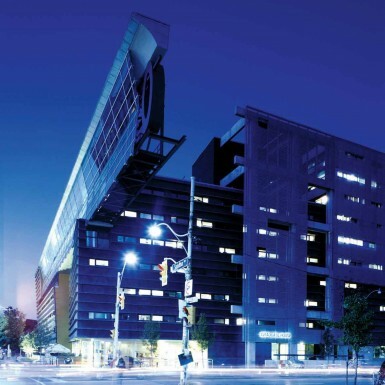 The University of Toronto Master Plan called for the revitalization of the downtown campus with a notable architectural landmark. 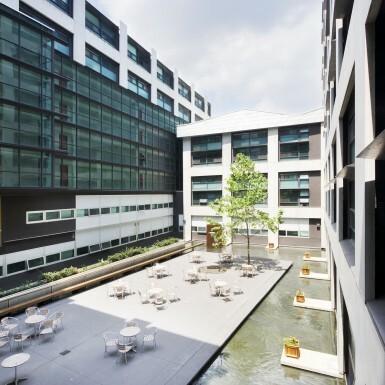 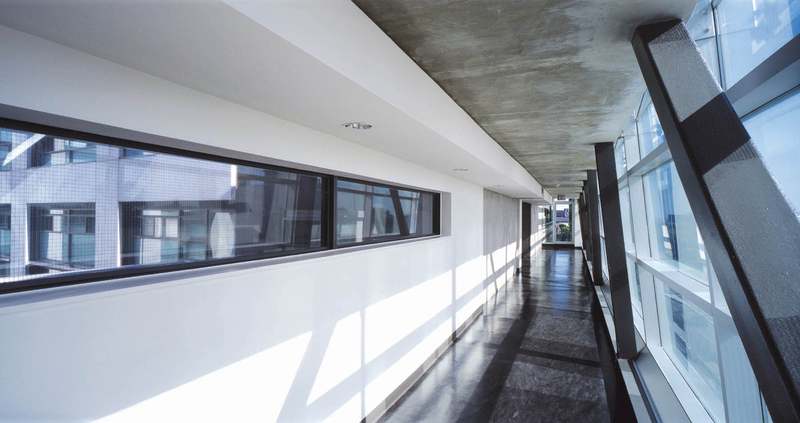 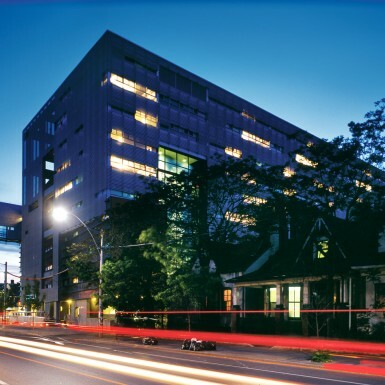 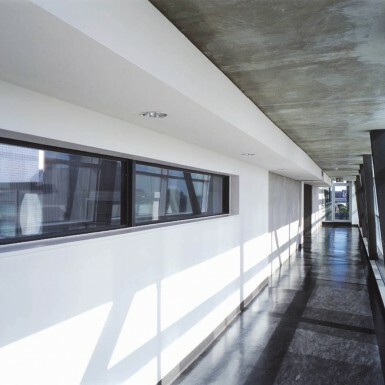 Located at the western entrance into the campus, the 10-storey Graduate House Residence is recognized as an iconic gateway building. 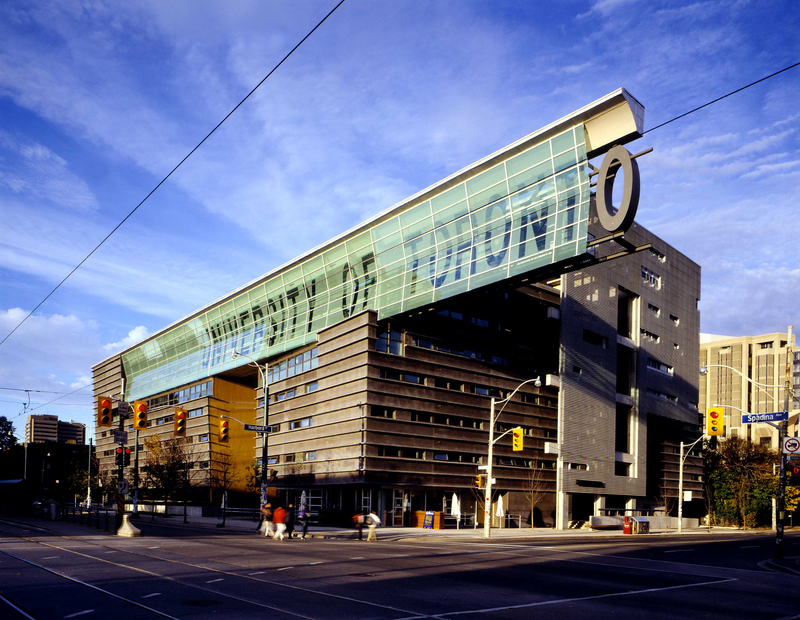 A two-storey glass cornice extends over the adjacent street, creating a dynamic four metre tall university sign. 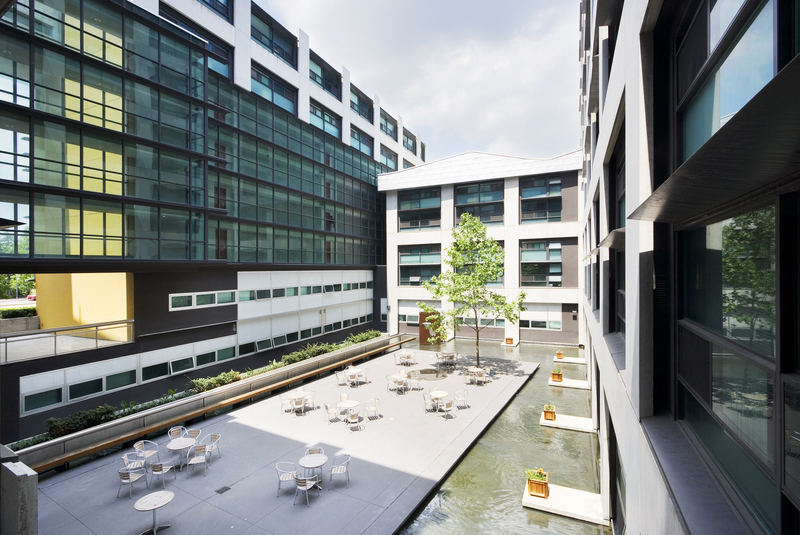 The design objective was to define public space with a simple perimeter block building and incorporate other urban elements into the project such as a sunken courtyard, a reflecting pool, a terrace and a café.